Cape Breton Island is an island in Canada’s Nova Scotia province. Well-known for its Cabot Trail, and Gaelic influences, the island is one of the most curious in Canada. Sure, the Great White North has a lot of links with Britain – it was part of the Commonwealth for one thing. Not only is Cape Breton Island stunningly beautiful, but it also has some truly amazing Scottish roots. So, if we’re going to examine why this is such a popular and important island, we’re going to have to understand as much as we can about its past. All the most interesting places are fascinating because of the backstory that comes with them. And that’s why we’re so excited to dive in and find out as much as we can about the Scottish roots Cape Breton has. Kitchen parties are a big thing here, apparently. No, we’d never heard of them either. But, it seems that this is a big tradition on the island, where families will host a ceilidh. This is a party involving plenty of food, drink, music, and dancing, and has very definitive Scottish roots. The name is a Gaelic word meaning a gathering of people, and most likely originated in the 18th Century, when the Scottish settled here. The ceilidh is a big thing in Cape Breton, and there is a huge focus on fiddle music too, as brought by the Scots. Because of the close-knit community here, it’s clear that music and dance run in the family. They are enjoyed by people all over the island, and most families have some sort of musical gift. Indeed, it is believed that there is a fiddle in every home on the island; not to mention the fact that at least one person in almost every family is believed to be a proficient musician. Families gather together at events like ceilidh and enjoy the wonder and beauty of music and dance. Gaelic is an ancient and treasured language, and it’s one of those that is dying out. There are very few places in the world where Gaelic is still spoken as a language these days. Some areas of Ireland, of course, still try to maintain the use of the language, the same is true in Scotland. 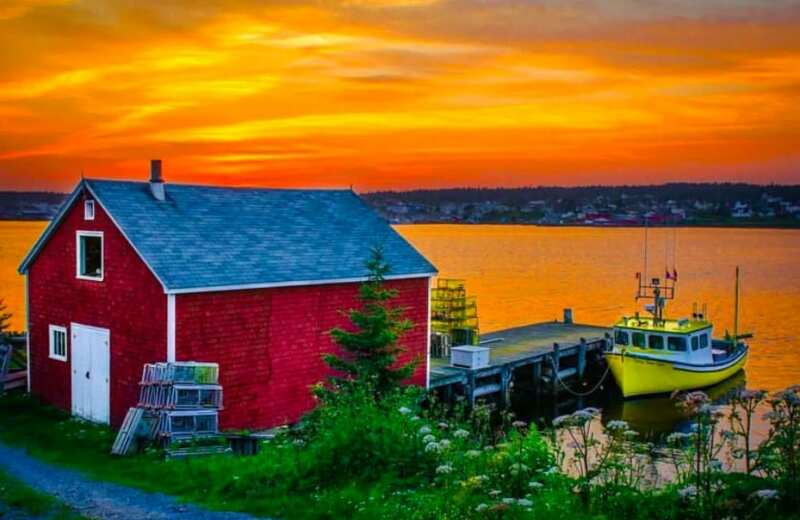 The residents of Cape Breton also are going out of their way to try to speak Gaelic – known colloquially as Nova Scotia Gaelic. Gaelic has become nearly extinct since the 1900s when an education act forbid schools to use it. But this is a hugely important historical language and deserves to be preserved. The Gaelic identity is interwoven in the identity of Cape Breton, and this has brought the community closer together. But the Scottish influence is far more than just the Gaelic language – as we know, there is a big musical culture here, especially with fiddles and pipe music. But, there is also a culture of dancing, storytelling, and hospitality customs as well. The identity is so important here, and the Scottish roots are clear for all to see. Cape Breton is one of the most picturesque parts of Nova Scotia, and the Scottish influence on the island is inescapable. If you want to find out as much as you can about how the Gaelic influence has spread across the island, you need only look at the ceilidh.